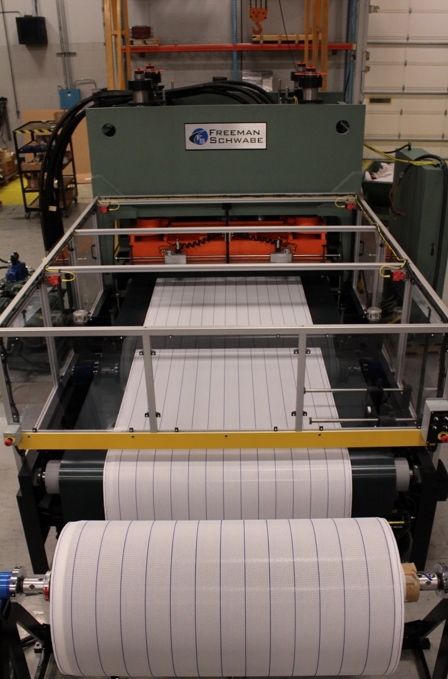 Freeman Schwabe Machinery recently delivered this new custom designed Schwabe SR 230 die cutting press system. 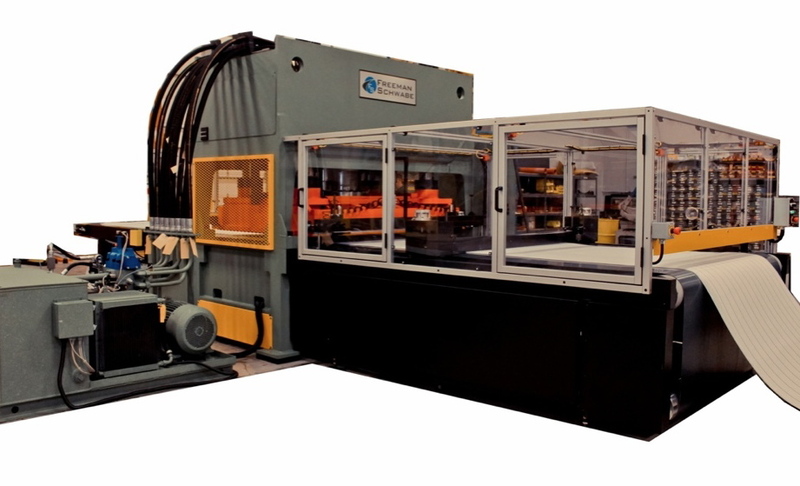 This latest custom design build Schwabe straight ram SR 230 illustrates Freeman Schwabe engineering and manufacturing craftsmanship and why the company excels at custom application systems. This custom built Schwabe SR 230 cutting press, die cuts spacer mesh on a nylon belt, for automotive interior seat covers. Spacer mesh is a unique fabric with a large number of closely-spaced holes knit into the weave, ideal for auto interior seat covers. The characteristically porous nature of this material makes it breath more than most materials and therefore a great choice for auto seats that require a cool, dry and comfortable fabric. For more information on the custom built Schwabe SR 230 and photos visit Freeman Schwabe website. This entry was posted in Auto Interior - Seat Covers, Schwabe Automotive Interior, Schwabe Presses. Bookmark the permalink.